Whether it’s Vacation Bible School or weekly children’s meetings, we have a passion to see children impacted by the Word of God. We offer nursery for all services, Sunday school classes for all ages, Kingz Kidz children’s church on Sunday mornings, and our brand new CG3 program on Wednesday nights. We love investing in the lives of children and seeing them grow closer to God. 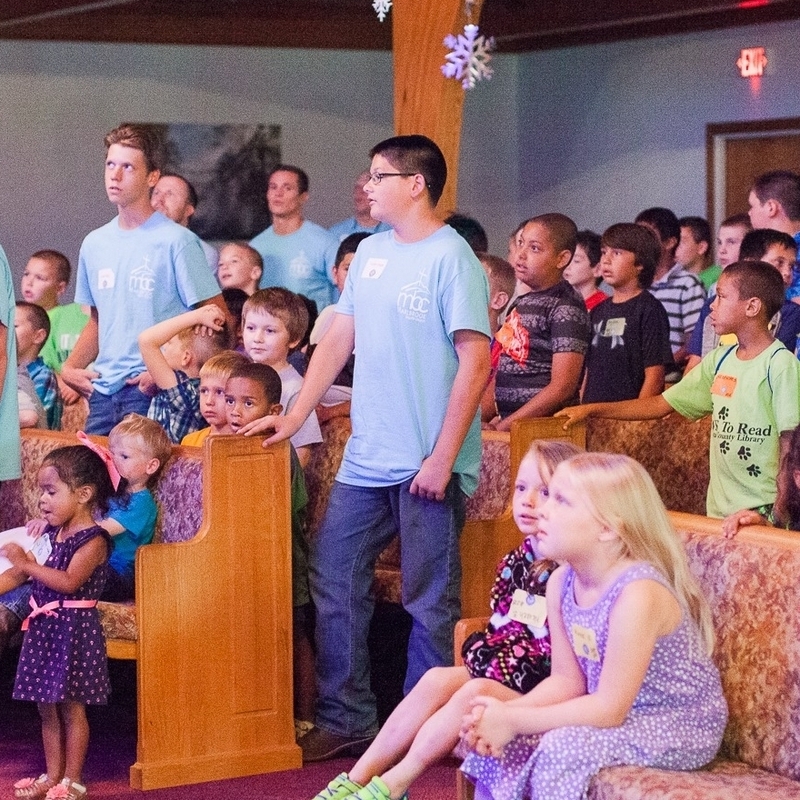 Learn more about our children’s ministry. Our teenagers are actively involved at Marlbrook Baptist Church. Greg Snyder teaches teen Sunday school each week, and Youth Pastor Kent Lundy leads the Sunday evening youth services. We have a variety of activities for our teens including yearly missions trips, youth camp, monthly outreach, and many opportunities to build relationships and have fun together. The teens also have their own devotional. Learn more about our teen ministry. 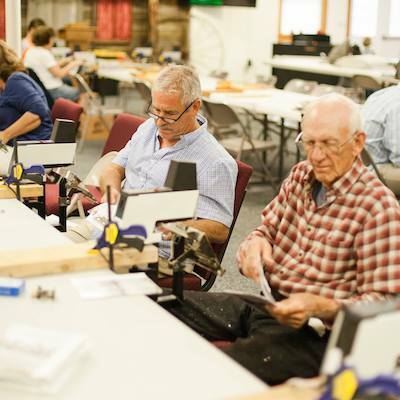 Each month, our senior adults put together Bibles to be passed out around the world, and once a year, we have our church-wide Scripture assembly where people of all ages spend several days assembling forty to fifty thousand Scriptures. We would love to have you join us for an upcoming Scripture Assembly! As a church, we are privileged to go on at least one missions trip each year. This summer, twenty of us went to Uganda to support and encourage several churches and ministries there. We got to do street evangelism, share the gospel in several schools, and be a witness in several different Ugandan cities. Teenagers and adults were able to travel and serve alongside each other. Learn more about our most recent missions trip.